Soccer is much bigger than just a game. It’s where the club you support is more than just a team…it’s your city, your community, your family…it’s your entirety! It’s where the supporters in the stands are recognized as a vital part of the team Where the energy YOU provide can be the difference between a win and a draw. Where YOUR nonstop jumping, chanting, flag-waving and singing for 90+ minutes makes the taste of victory sweeter and may help stave off the bitter taste of defeat. The Dade Brigade mission is twofold, our passion for our team and community will not only be reflected in the stands but throughout our charitable events and activities. We are soon to be a registered non-profit organization fiercely committed to giving back to our community via promotions and drives for local based charities…real charities that help the people of Miami. 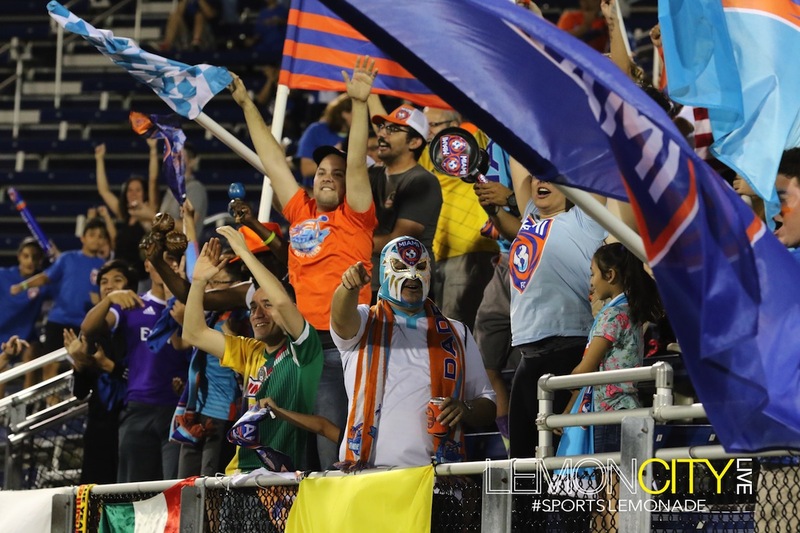 Dade Brigade membership is open to anyone who wants to STAND, CHANT and SUPPORT our Miami FC from the Brigade End! We look forward to welcoming those with a passion for Miami FC in their hearts to our ever expanding family. Together we can help push our team to new heights. Get to know the Dade Brigade a little bit better, as we sit down and talk to Matthew Bunch and Dade Brigade President Drew Housman. For more information on the Dade Brigade be sure to follow them online.